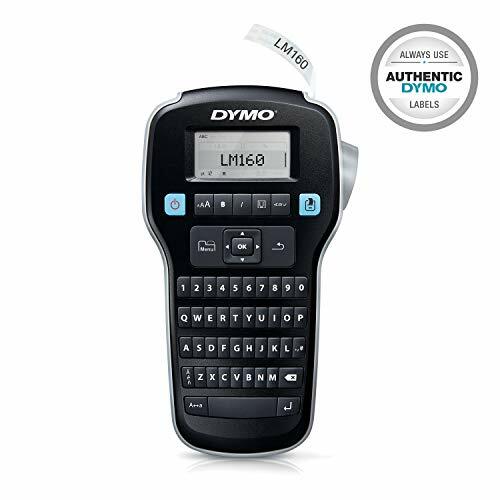 With a large graphical display, one-touch fast-formatting keys and a long-lasting rechargeable battery, the LabelManager 280 label maker is your ticket to fast, uninterrupted labeling. The computer-style QWERTY keyboard is perfect for typing text quickly, comfortably, and easily. Plus, PC and Mac connectivity enables you to customize labels with fonts and graphics of your choosing from your computer. *Compatible with Windows 7 or later and Mac OS X v10.8 or later. Microsoft and Windows are either registered trademarks or trademarks of Microsoft Corporation in the United States and/or other countries. Mac and OS X are trademarks of Apple Inc., registered in the U.S. and other countries. The Brother P-touch PTM95 Handy Label Maker is simple and effective and prints high-quality labels with ease. 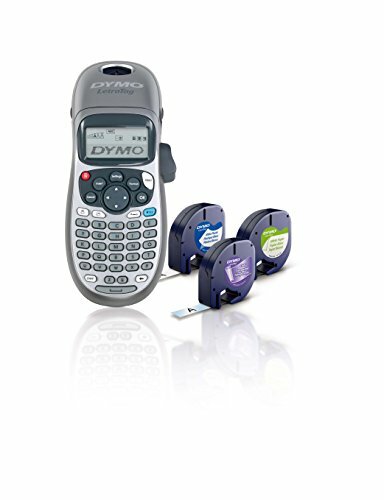 Designed for those home offices or small businesses that need simple, two-line text labels, the Handy Label Maker is easy to use and requires no complex training. 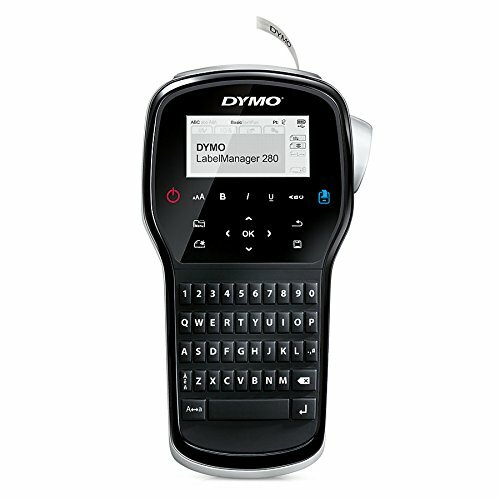 This handy P-touch labeler is portable, lightweight, and features a QWERTY keyboard and easy-view display. These features allow users to easily type text and review it for errors before printing the label. This saves time, reduce mistakes, and helps save money on misprints. 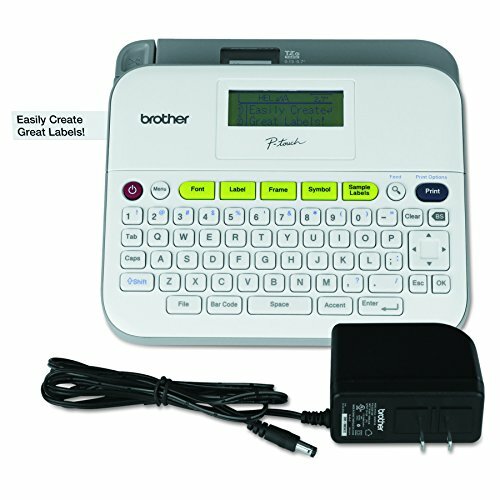 The Brother Handy Label Maker comes with a variety of frames, font styles, and fun decoration patterns to create labels that really stand out. In fact, users can create stylish labels for personal or business items using one of the 8 Deco Mode patterns. Simply select the layout and label length and type the text to create your customized labels. Having the flexibility to select and change different tape colors enhances the label-making process. 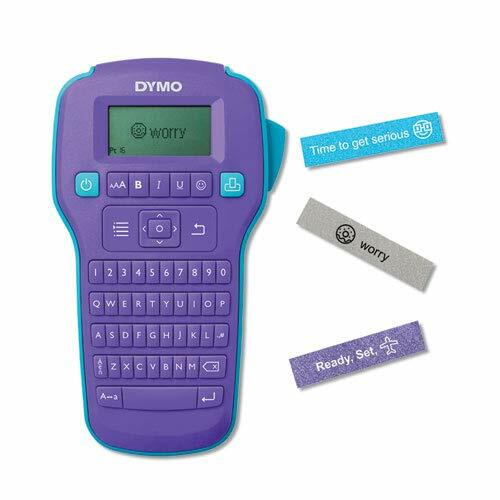 This label maker is great for those looking to create labels for school items, gift bags, storage bins, file folders, and more. This label maker is powered by 4 AAA batteries (sold separately) that are easy to install. 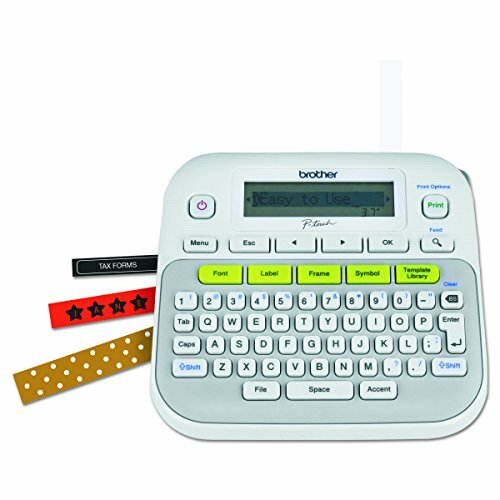 The P-touch Handy Label Maker uses non-laminated Genuine Brother M series tapes that are available in 9mm and 12mm widths and multiple color options. It features an auto power off function in case you forget to turn it off after use. The package includes a black on white 12mm starter tape and User s Guide. There is a 1-year limited warranty and free phone support for the life of your product. For use with Brother Genuine P-touch M-tapes: M-K631, M-K233, M-K232, M-E793, M-E31, ME-21, M-931, M-921, M-831, M-821, M-731, M-721, M-531, M-521, M-2312PK, M-231. With a focus on user simplicity, yet designed to withstand daily use, the Brother P-touch PT70BM handheld portable label printer is engineered with excellence in mind. 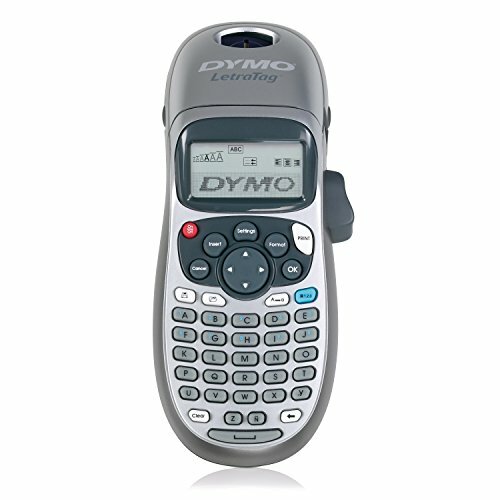 The PT-70BM is a handheld, feature-packed personal labeler that is powered by 4 AAA batteries (batteries not included). This feature allows you to print labels in up to 2 lines, with 1 font, in 6 sizes, and in 9 styles. The QWERTY keyboard permits you to easily enter text, numbers, and even 71 different symbols to create elegant labels printed on 3/8 and 1/2 size tape. 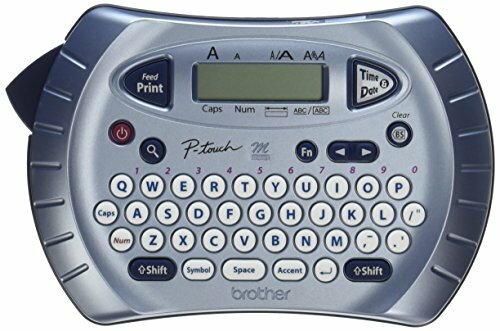 For use with Brother Genuine P-touch M-tapes: MK-631, MK-233, MK-232, ME-793, ME-31, ME-21, M-931, M-921, M-831, M-821, M-731, M-721, M-531, M-521, M-2312PK, M231. The PT-70BM handheld label printer also features a unique time and date function in 8 formats, which is an exceptional function for documenting perishable foods, important documents, or other time-sensitive data. With the PT-70BM, you can print non-laminated labels that are 9mm and 12mm wide (Brother Genuine P-touch M-Tapes). You can choose label length from five formats to create labels for various applications and 6 framing styles, allowing you to customize labels as needed for style. Includes 1 Black on White M-Starter Tape 13.1ft (4m). 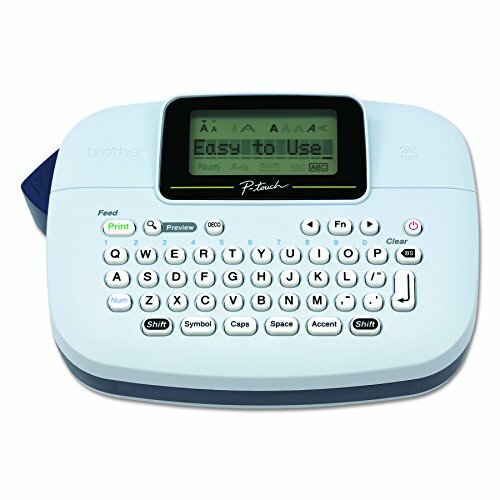 Typing labels is made easy thanks to an 8-character LCD display, and the easy-to-use keyboard features raised keys for more accurate input. This unit is 100% portable since it uses AAA batteries (batteries not included). 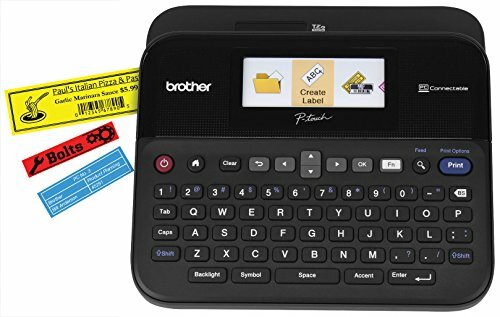 LIGHTWEIGHT PERSONAL HANDHELD LABELER: The Brother P-touch PT-70BM is a portable label maker that weighs only 8 ounces and is easy to use. 54 FONT VARIATIONS: This handheld labeler can print labels with one font, in six sizes, and nine type styles for a personalized look. TWO-LINE PRINTING: The PT70BM offers two-line printing, allowing you to customize labels with multiple framing options and auto formats. EASY-TO-VIEW DISPLAY: There's an 8-character LCD display and an easy-to-use QWERTY keyboard that features raised keys for accurate input. FOR USE WITH BROTHER GENUINE TAPES: Use Brother Genuine P-touch M-tapes in 9mm (approximately 3/8) and 12mm (approximately 1/2) for best performance. 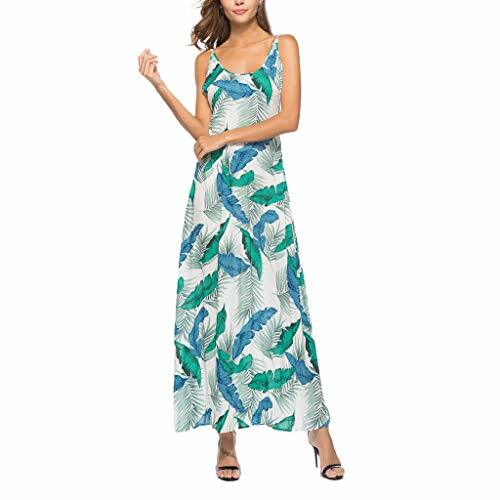 Showcase your unique style with the dyno COLORPOP! label maker. The dyno COLORPOP! label maker lets you design and print custom, colorful labels in 3 easy steps: CREATE, PRINT, STICK! Decorate your phone case and notebooks or add some flair to cards, scrapbooks, and notes to friends. The possibilities are up to you! 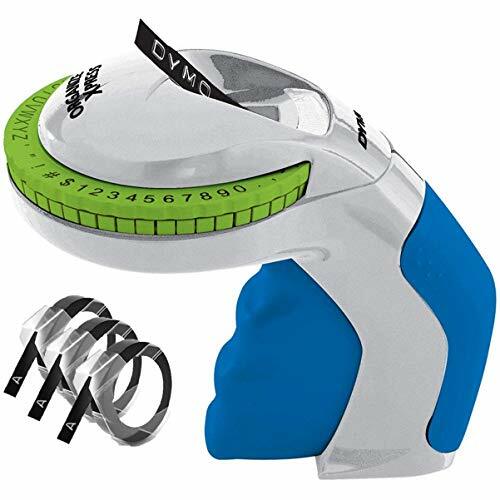 This product works with authentic dyno D1 label tapes up to 1/2"" (12mm). 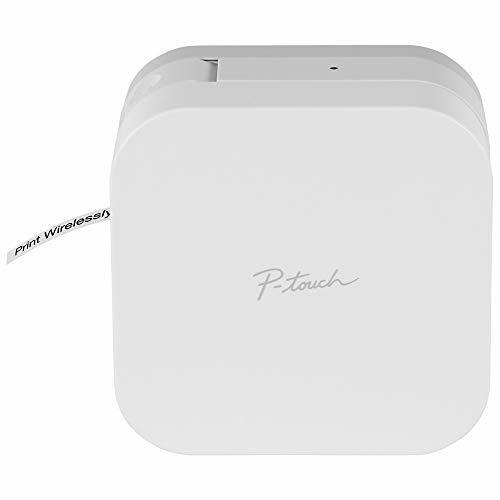 Conveniently design and print personalized labels from your smartphone or tablet when connected to a wireless network using the free, easy to use P-touch Design Print app. 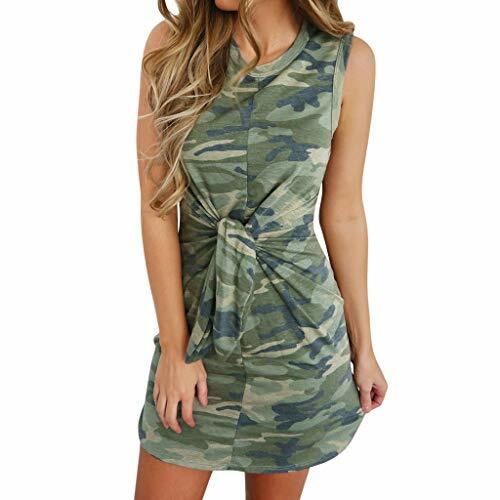 Works with Apple and Android devices. Choose from a wide selection of home and home office label templates -- or easily design your own labels using 450 symbols, 60+ frames and a variety of fonts including most Google and Apple font libraries. Uses Brother P-touch TZe durable, laminated tapes up to 12mm (~ ) wide, in a variety of colors and types. Brother s PT-D600VP PC-connectable label maker has been engineered to meet a variety of labeling needs in a thriving business environment. With the ability to connect to PCs or Macs or be used as a standalone device, the Brother P-touch PT-D600VP can create professional labels with up to 7 lines of text and up to 8 larger font sizes. Labels can be printed for business or personal use by accessing 14 different fonts, 11 styles, 99 frames, and 600 unique symbols. One of the best features of this PC-connectable label printer is the full color graphical display, which permits users to review the font, size, style, and format of the label prior to select the print option. This helps save time and money by reducing misprint mistakes. Simply type the label s content, format the label s style, review, and print. The large memory capacity of the PT-D600VP allows users to save and quickly access up to 99 commonly used labels, which saves time for reprinting jobs. The PT-600VP has super-fast print speeds and an automatic tape cutter making high-volume jobs easy. The specialty templates allow users to print labels for cable labeling or asset management and even add a time/date stamp for projects requiring documentation. This label printer uses TZe tape that s available in 6 different widths. The convenient, top-loading tape design allows you to change tape cassette colors and sizes easily. The standard TZe tape is laminated and durable, which helps it to withstand heat, water, and fading. The kit comes with a carrying case, an AC adapter, a USB cable, and standard 0.94 (24mm) starter tape. For use with Brother Genuine P-touch TZe tapes: TZe-MQF31, TZe-MQE31, TZe-MQ531, TZe-2312PK, TZe-1312PK, TZe-111, TZe-211, TZe-N201, TZe-315, TZe-S211, TZe-121, TZe-325, TZe-221, TZe-421, TZe-S121, TZe-S221, TZe-S621, TZe-131, TZe-135, TZe-231, TZe-232, TZe-334, TZe-335, TZe-631, TZe-AF131, TZE-AF231, TZe-FA3, TZe-FX231, TZe-FX631, TZe-MQ835, TZe-MQ934, TZe-MQG35, TZe-MQP35, TZe-S131, TZe-S135, TZe-S231, TZe-S631, TZe-141, TZe-145, TZe-241, TZe-242, TZe-243, TZe-344, TZe-345, TZe-441, TZe-541, TZe-545, TZe-641, TZe-741, TZe-B41, TZe-FX241, TZe-S141, TZe-S241, TZe-S641, TZe-S941TZe-CL4, TZe-S241, TZE-SE4, TZe-151, TZe-251, TZe-252, TZe-354, TZe-355, TZe-451, TZe-651, TZe-B51, TZe-FX251, TZe-FX651, TZe-S151, TZe-S251, TZe-S651, TZe-S951. 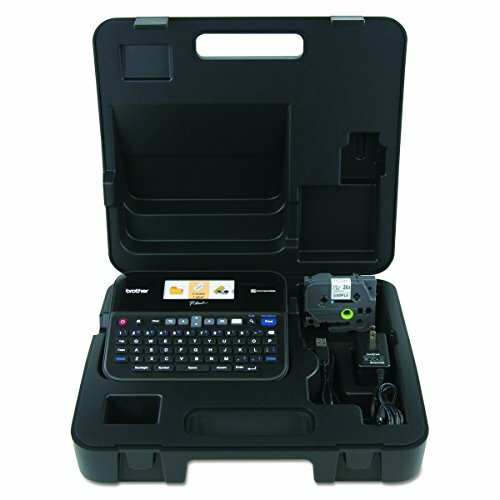 PC-CONNECTABLE LABEL MAKER: The Brother P-touch PT-D600VP can be used as a stand-alone device or connected to PCs or Macs for better design capability. MULTI-LINE LABELS: The Brother PTD600VP can print labels with up to 7 lines of text and supports large character printing in up to 8 font sizes. PERSONALIZED LABELS: Print labels for asset management and business or personal use with 14 fonts, 11 styles, 99 frames, and over 600 symbols. LARGE MEMORY: Save time and improve office efficiency by saving and accessing up to 99 commonly used labels for easy reprinting. FOR USE WITH BROTHER GENUINE TAPES: Use Brother Genuine P-touch TZe tapes up to 24mm (approximately 1) for best performance. Decorate your phone case and notebooks or add some flair to cards, scrapbooks, and notes to friends. The possibilities are up to you! This product works with authentic dyno D1 label tapes up to 1/2"" (12mm). Comfortable and easy-to-use, the Organizer Xpress is the perfect label maker for cost-conscious homeowners and DIY enthusiasts. 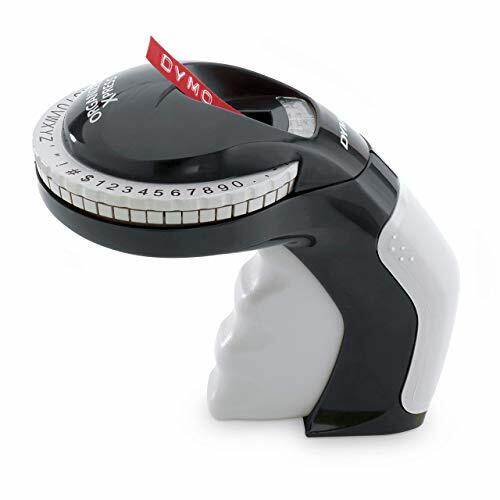 Featuring an intuitive turn-and-click labeling system, this embossing label maker prints fun, easy to cut labels thanks to an enhanced tape-cutting feature. Explore your artistic side and use the Organizer Xpress embossing labels to enhance your scrapbooks, photo albums or DIY projects - maybe even your craft cupboard or closet! 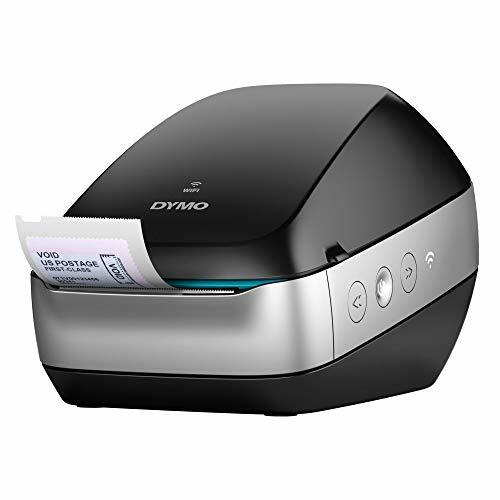 With DYMO, it's easy to keep organized and have fun doing it. 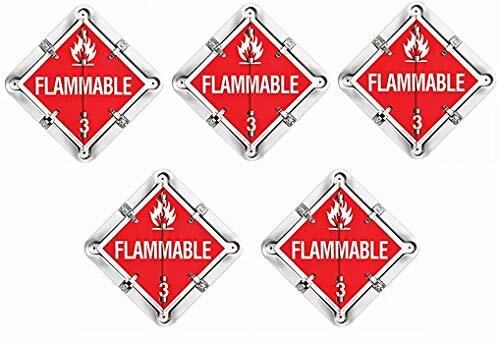 This full frame space Master system includes 8 placard panels in a single frame: dangerous Flammable gas 2 Poison 6 corrosive 8 Flammable liquid 3 Oxidizer 5.1 radioactive 7 non-flammable gas 2 blank placards meet dot specifications for transporting hazardous materials. Changing dot placards when your load changes is as easy as the Flip of a panel. Space Master eliminates the hassle and expense of replacing placards, so dot compliance is virtually at your fingertips. Space Master frames are constructed of corrosion-resistant, fully formed rigid aluminum that provides superior durability, even under the toughest road conditions. Self-contained placard panels are constructed of aluminum alloy and mill roller coated with white acrylic paint. Panels lock in place with 4 double-riveted stainless steel pressure fasteners. Legends are silkscreened with UV inks to retard fading, chipping or peeling. Space Master full frame, 8-legend Flip placard system for trailers is sold per each.